-- UPDATE 2: Please see attached examples of brand graphics to get a feel for our brand. 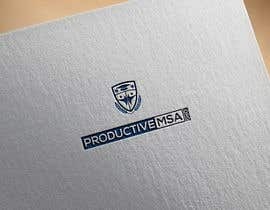 Also attaching our old logo, if you can evolve this and create something more meaningful that could perhaps work. Need a logo for an organisation. What they do is mentor and train University Student Associations on how to be more productive, how to plan events on their campus, how to give talks, how to structure their student association etc. They also provide resources such as video training, design templates and more for the student associations to use. 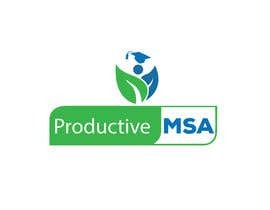 The name on the logo should be &amp;quot;Productive MSA .org&amp;quot; (the .org can be smaller). Current brand colour scheme is navy and light green. One idea the founder had is to have a graphic beside the wordmark with a hand nurturing 2-3 students - this feels a bit generic but a fresh take on the concept would be welcomed. Current brand uses the Rift soft typeface. You can use it or ignore it, but a new typeface that would match Rift Soft as a secondary font could be good. Goes without saying that logo should be a vector. Any entries that try to replicate other peoples&amp;#039; work/steal their ideas will be deleted without looking at them twice. Looking forward to your submissions!! These designs have been ok but none are quite representing our vision for the brand. Please provide your valuable rating and feedback. Thanks! sir please cheack my entry.